The Ephrata Main Theater, Lancaster County’s newest live entertainment venue, has three concerts coming up that are sure to draw good crowds. Three women, each with their own unique style, but with one thing in common – MAN can they sing! First up, on Sunday, February 20th (a holiday weekend, so hopefully you’ve got Monday off!) 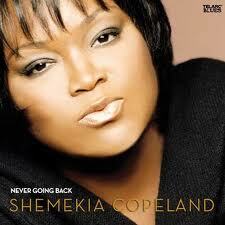 is Shemekia Copeland, with special guest Clarence Spady. Shemekia is a highly acclaimed blues singer – check out her performance on the David Letterman Show from 2009. We bought our tickets to this show the moment it was announced, based on the OPENING act… I can’t imagine how good Shemekia will be if Clarance is warming up for HER (the guy is amazing!!). The next show on the schedule is Ana Popovic, playing on Saturday March 12th. Another blues artist, Ana has been hailed as the ‘most popular female blues singner and guitar player in the world’. One look at this video of Ana playing live in Amsterdam and you can see where she got the designation. Ana is from Belgrade, Yugoslavia and has wow’d audiences around the world. She recently played with B.B. King in Bonn, Germany! 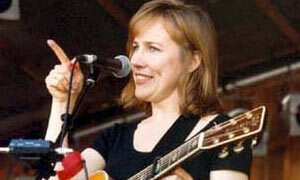 And finally, Iris Dement arrives on Wednesday, March 23rd to grace the Ephrata crowd with her unique ‘folk / country’ style. 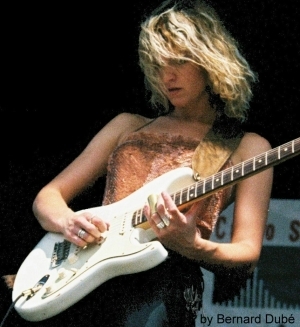 Dement made her recording debut in 1992, and “Infamous Angel” won almost universal acclaim thanks to her pure, evocative vocal style and spare, heartfelt songcraft. If you saw the recent remake of True Grit, you may have caught Iris’ version of “Everlasting Arms” at the end of the movie! And don’t forget, the Smithton Inn Bed and Breakfast is just 1 mile west of the Ephrata Main Theater. It’s the perfect combination for a night out on the town!